PRINCESS Margaret Hospital (PMH) has denied claims surgeries are being delayed until the new children’s hospital is finished and due to budget concerns. 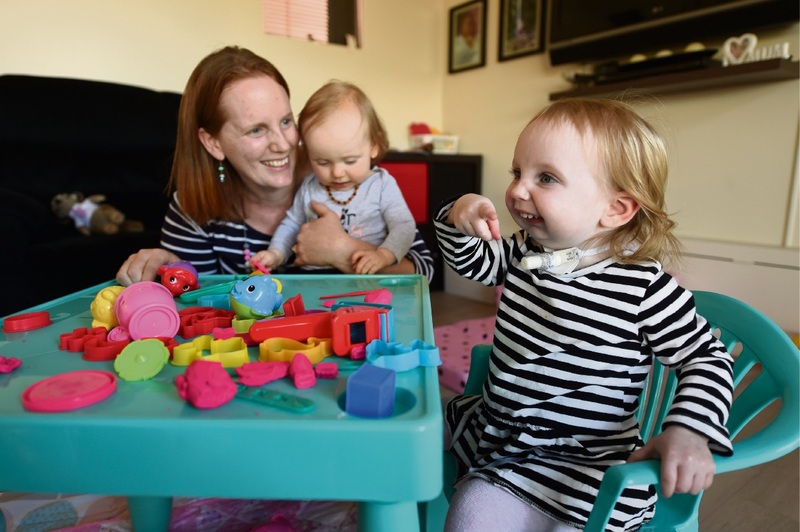 Belinda Honess started a fundraising campaign after her daughter Heidi-May’s plastic surgeon told the family her life-saving surgery would have to be paid upfront or delayed until the new children’s hospital opened. Mrs Honess’ daughter Heidi-May (22 months) has a rare condition called micrognathia, which means her jaw has stopped growing. She has a feeding peg and can never be left alone for fear the toddler might inadvertently block her airway-supporting tracheotomy. Mrs Honess said the family was told it had until July 10 to come up with $100,000 for the surgery to break Heidi-May’s jaw or wait until the new hospital opens. “Other families have been told the same,” she said. PMH executive director Michelle Dillon denied Heidi-May’s surgery had been delayed. “This is a complex medical condition that requires a number of surgeries,” she said. When asked if surgeries had been cancelled or delayed at the hospital for budget reasons, Ms Dillon said surgery cases are prioritised according to clinical need, and booked according to theatre availability and surgeon availability. “In some circumstances, elective surgery may be cancelled or deferred due to unscheduled emergency surgery for sick children being admitted,” she said. Mrs Honess said the family has also been denied use of Ronald McDonald House, despite it being available for them in the past. Ms Dillon said families must live at least 100km from Perth and have a seriously ill child receiving medical treatment at PMH to access accommodation at Ronald McDonald House. “Patients located less than 100km from the hospital who require treatment must provide a referral from the patient’s multidisciplinary team outlining extraordinary medical requirement,” she added. The Honess family is still fundraising to cover nursing and living expenses. Donations can be made to Halo Charity via the Commonwealth Bank.